The bunching process can be explained as follows: various wires coming into a bunching machine which will be in charge of assembling them into a bunch or a strand. The phase stranding process consists of assembling some strands or cables for the construction of a multi-conductor cable. Depending on the shape of its cross section, this process can be called round stranding or sectoral stranding. These 2 processes can be carried out either with flexible or rigid and either with bare or insulated conductors (see our section Insulating and Sheathing lines). The shielding process will be used to avoid the electric current which is going through the cable from making noises and interferences. The armouring process offers the cable when installed underground a mechanical protection against strokes, tensions and rodents. Do not hesitate to ask our engineers about your needs and technical requirements! TECALSA will manufacture the machine you dream about! The double twist technology is the best choice you can make in order to achieve large production levels at a much lower cost than with traditional stranding machines. All our models are equipped with carbon fiber bows. These machines can work either with flexible or rigid and either with bare or insulated conductors. At TECALSA with our experience of over 45 years in the cable industry, we proudly claim that our double twist bunchers are the absolute reference on the European market thanks to their high production speed and the quality of the finished products, but also thanks to their longer lifespan, their easy maintenance, their user friendliness! The short time needed for bobbin or reel loading and unloading is a real plus. 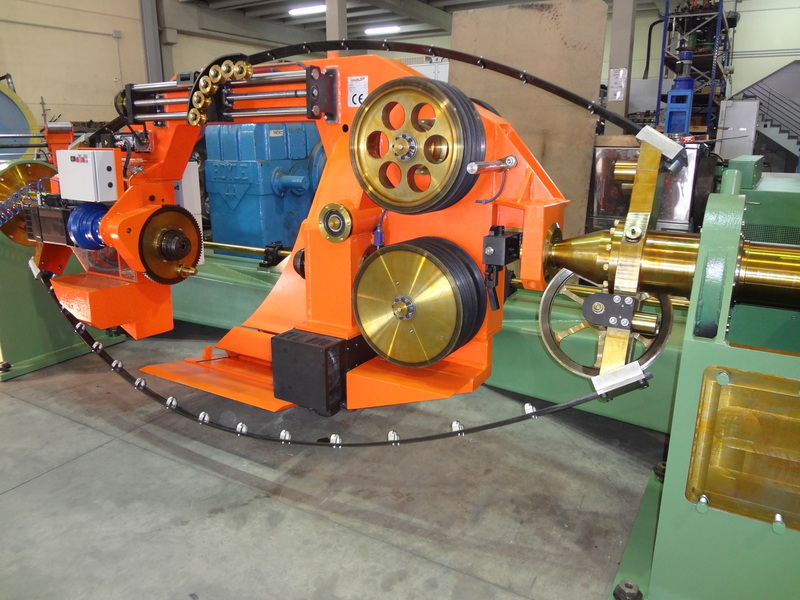 Our single twist bunching machines are specially designed for the stranding of insulated conductors with or without inner lapping for the production of data cables and special cables. 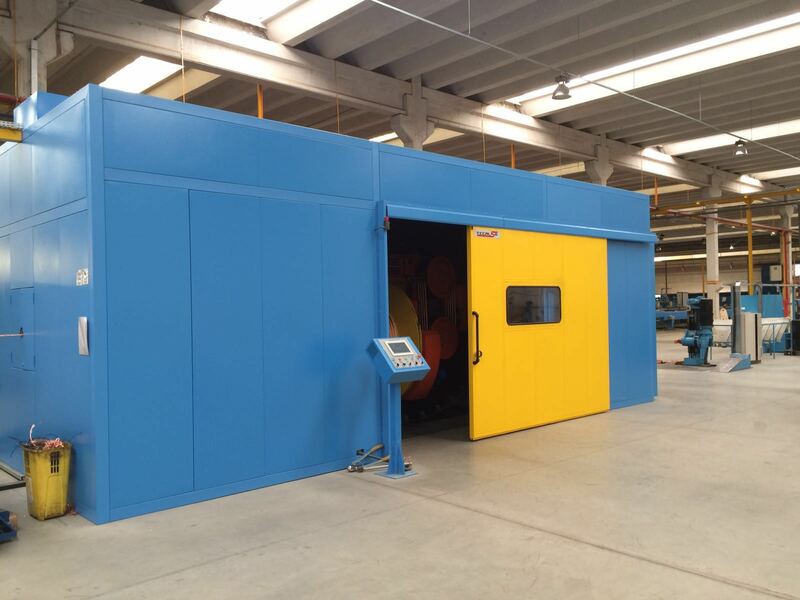 At TECALSA our single twist bunchers are tailor made for specific cable productions according to the customer’s requirements. Please inquire for our models for reel dia. 1000 – 1250 – 1600 and 1800 mm. When looking for an affordable but high production strander working without back-twist, our skip stranders are your first choice. They are suitable for a limited product range, but for 1+6 overhead conductors (AAAC y ACSR), these skip stranders are preferred by most of our customers as an alternative to the tubular stranders. On top of all this they are the best solution when stranding insulated conductors for overhead cables (twisted cables, SIP, ABC or similar). 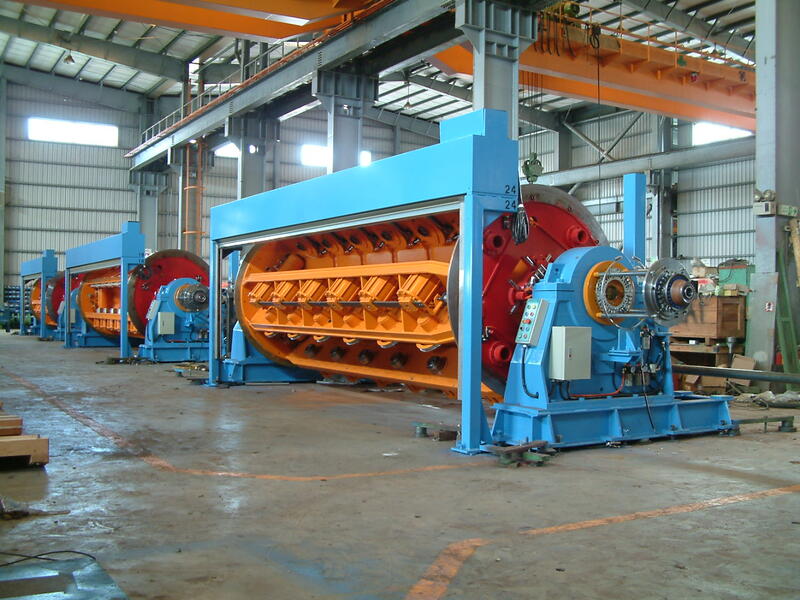 All types of rotating stranding machines are available in our catalogue. High performance and user friendly machines, they are all equipped with components of the latest technology. 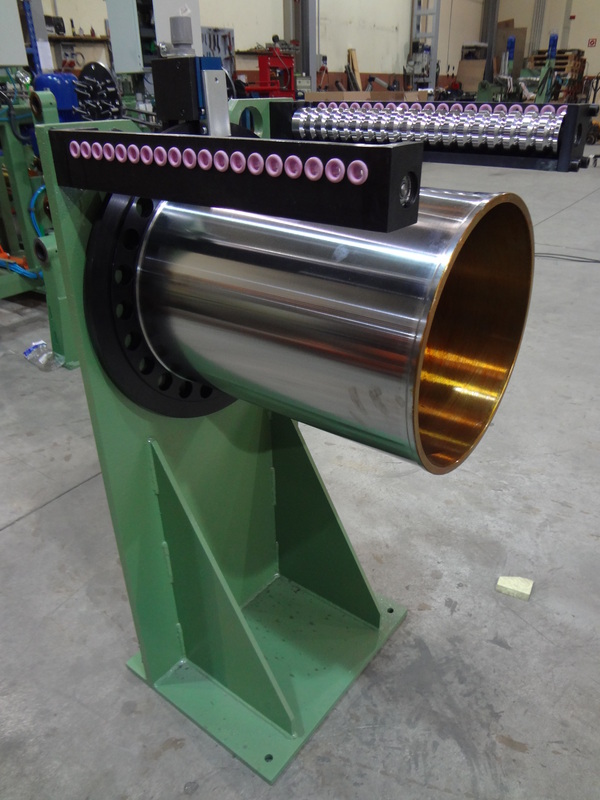 Our high speed tubular stranders with encircling bearings are machines which are offering the best stranding specification for bare conductors of maximum 19 Cu or Al wires, especially for overhead cables. 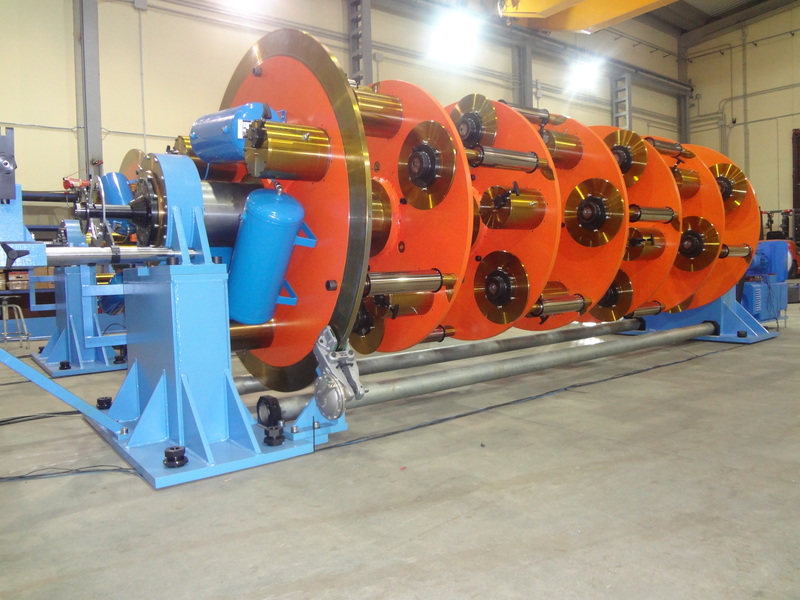 In this type of tubular stranding machines the conductors are assembled with very little back twist in the wires and it will thus provide maximum quality conductors. 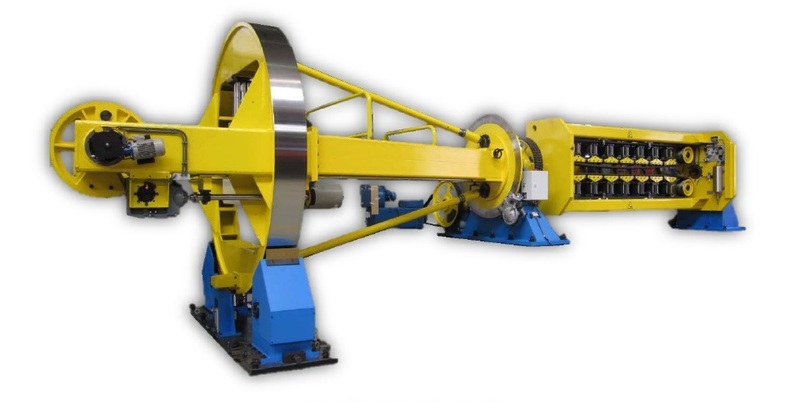 Although this type of strander is nowadays losing ground against our double twist bunching machines which are offering a greater return on investment, they are still a must when quality is at stake and difficult processes are involved. This option has to be considered as the affordable alternative to our cage type rigid strander. Very practical, user friendly and easy to load, it is also very easy to maintain. 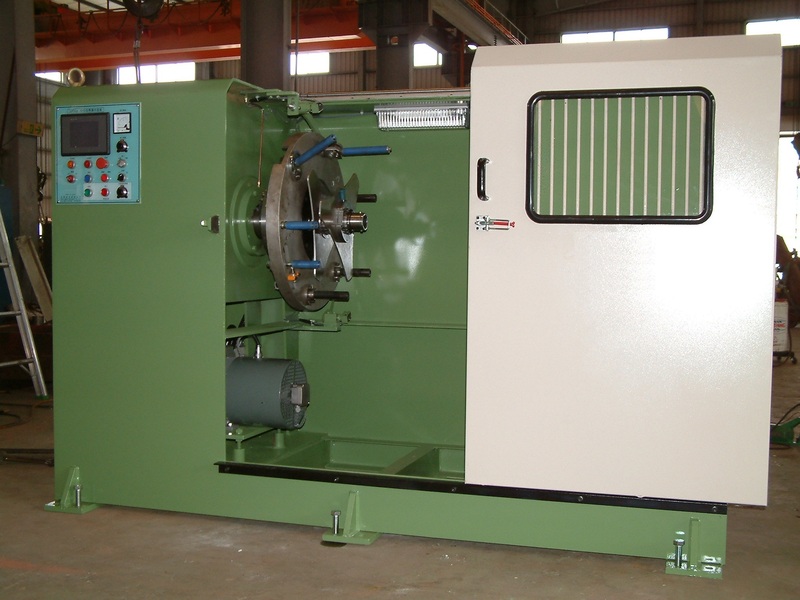 This machine is ideal for the cable manufacturer who does not need a high production level. 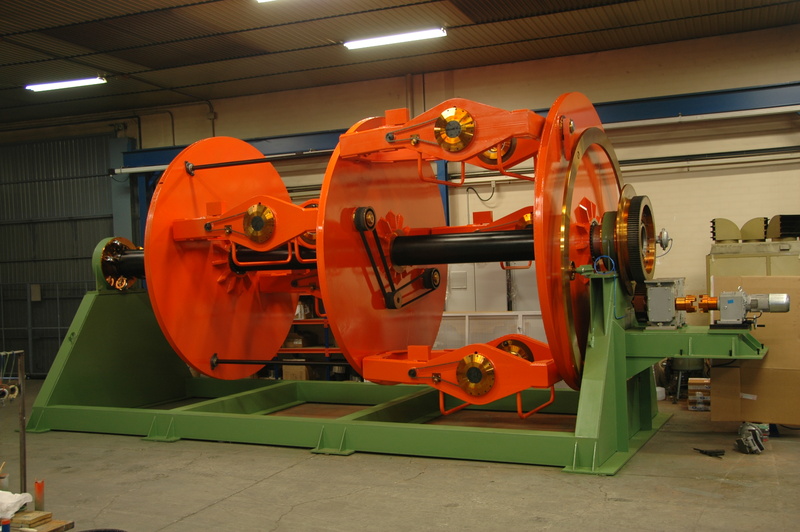 The cage rigid strander is the main machine for the production of energy cables. This type of strander combines the best balance between quality, efficiency and flexibility when comparing it with other methods of stranding. At TECALSA we are concentrating in improving the productivity, the speed and the reliability of these machines. The rigid strander formed by various independent frames is ideal for the production of all types of conductors. 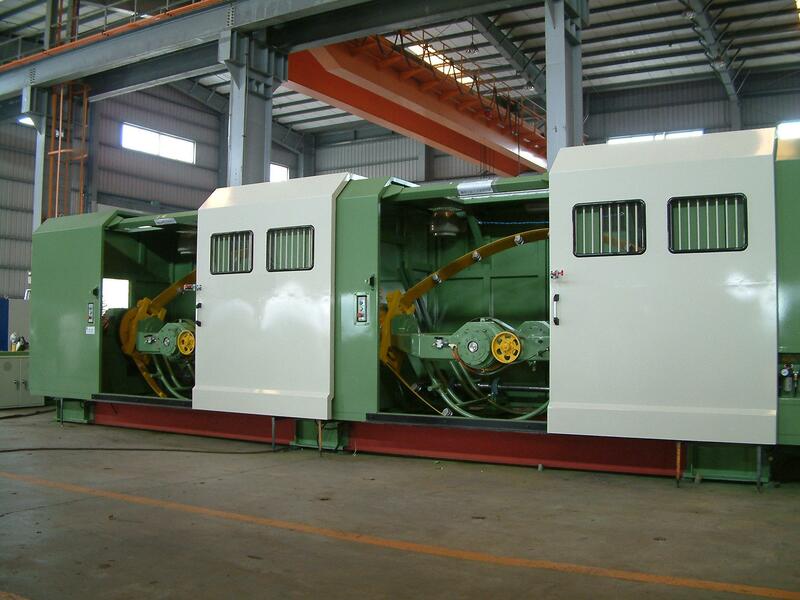 It can be supplied with an automatic bobbin loading system, compacting heads, post-formers, capstans, etc. It is ideal for the following solutions: Production of Cu or Al round or straight sectoral conductors, pre-spiraled and Milliken, production of bare overhead conductors in various compositions: hard Copper, AAAC, ACSR and similar designs, shielding of medium and high voltage conductors, armouring with galvanized steel wires. Planetary type with 100% back twist. Used for the stranding of various conductors, it offers the possibility to strand various bare, insulated or sectoral conductors on a core. It can work either in S or Z. This is a machine which is working with large weights in movement and high inertia which is making it slower than other stranders. It is used for products which require a perfect geometry between their conductors. Its main advantage resides in its stranding system which introduces lesser twist in the elements to be stranded thanks to its specific smooth angles. It is suitable for productions with high tensile strength steel wires or for the production of umbilical cables. 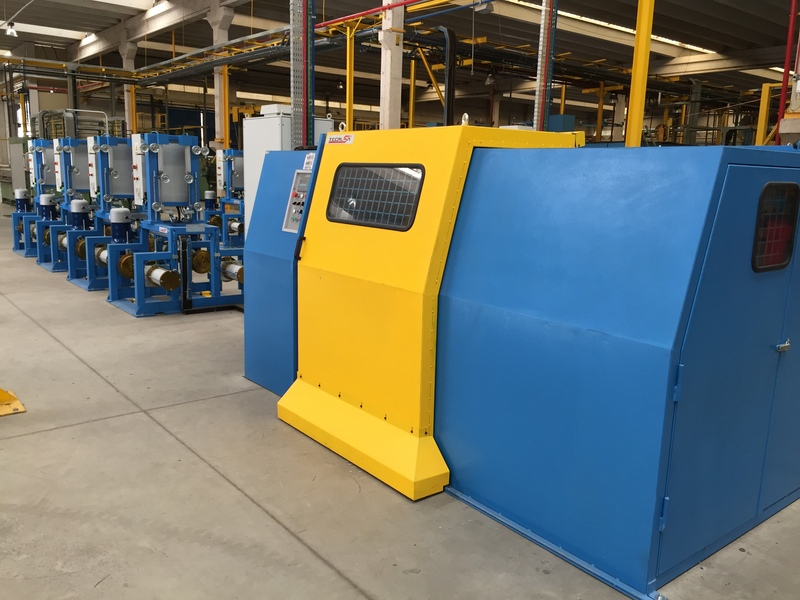 Our Drum Twister is a universal and multi-purpose stranding machine, it can also be used for shielding and armouring processes. 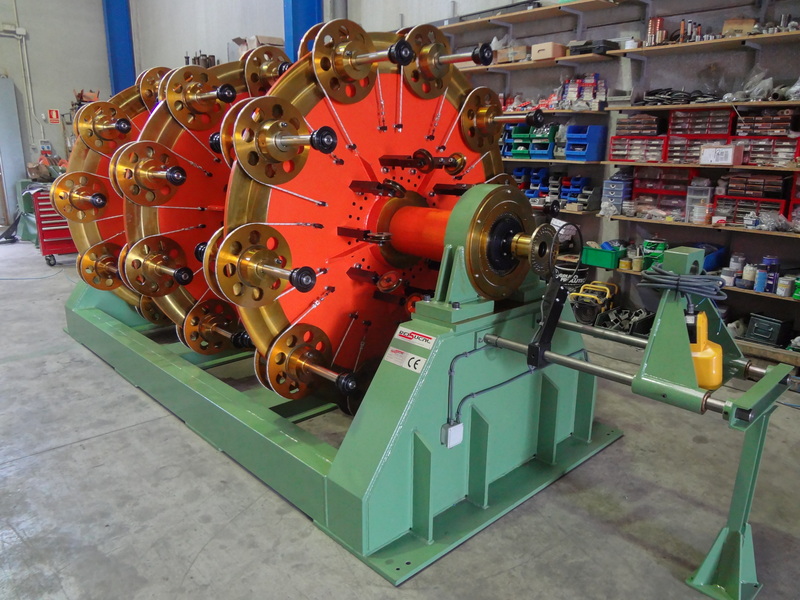 It can be supplied with a complete range of rotating pay-offs and rotating take-ups as well as with all the ancillary equipment for any potential application. Formed by a fixed base frame on which the tangential type rotating taping head is mounted and driven by an indenpendent motor. All the components of the pad holders are mounted inside a craddle in the rotating structure. 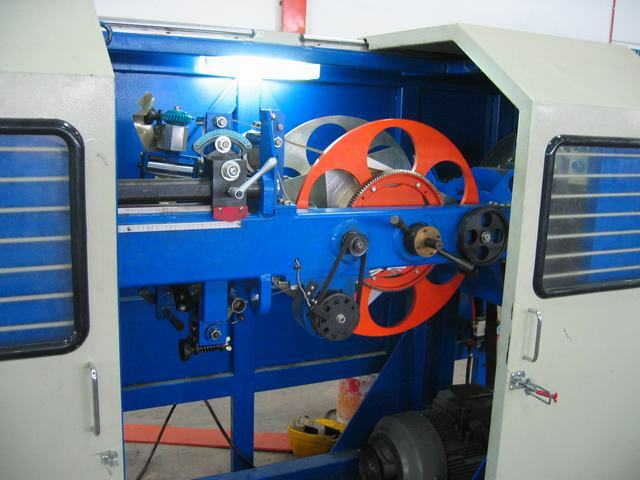 The brake of the tape is regulated automatically and its tension is regulated manually. Type of tape:	paper, plastic or copper of maximum thickness 0,20 mm. Available for 2 pads - outer diameter 600 or 800 mm and width from 20 up to 100 mm. For a cable diameter 100 or 120 mm max. Max. speed 500 RPM. 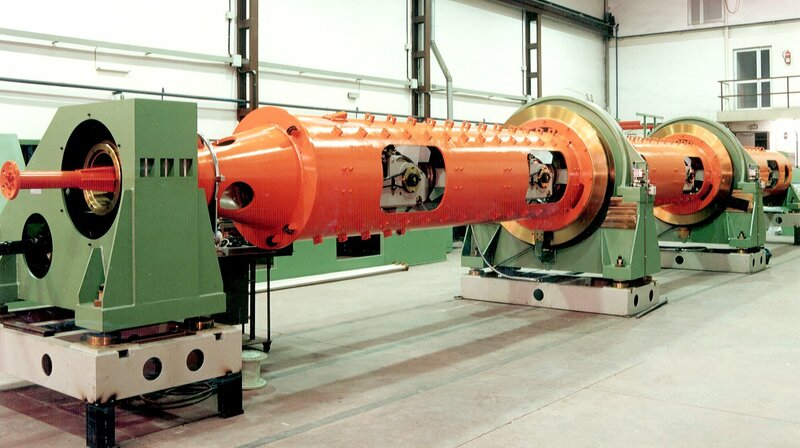 Formed by a fixed base frame on which the tangential type rotating taping head is mounted and driven by a motor controlled by a frequency variator. The 2 pads are fixed on both pad holders which are mounted at both sides parallel to the cable. 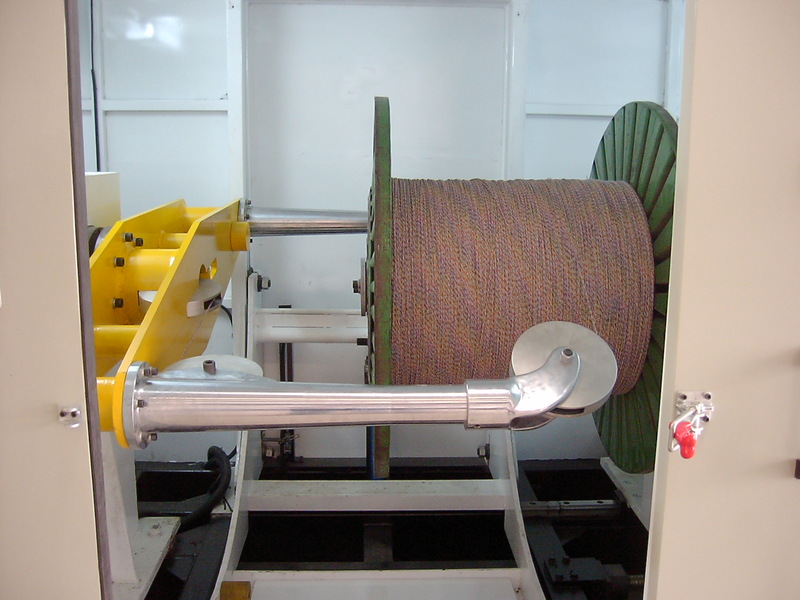 The tape is guided by steel rollers whose angular and axial position can be regulated in order to give the tape the necessary twist for a correct positionning on the cable. The brake of the tape is regulated automatically and its tension is regulated manually. Type of tape: steel, copper and aluminum tape of maximum thickness 1,00 mm. Available for 2 pads - outer diameter 600 or 800 mm. For a cable diameter 100 or 120 mm. Max. speed 500 RPM. Formed by a fixed base frame on which the pad holder is mounted. It is driven by an independent motor and a brake tension control is mounted on the plate itself. The tape is guided through several guides for a smooth unwinding. 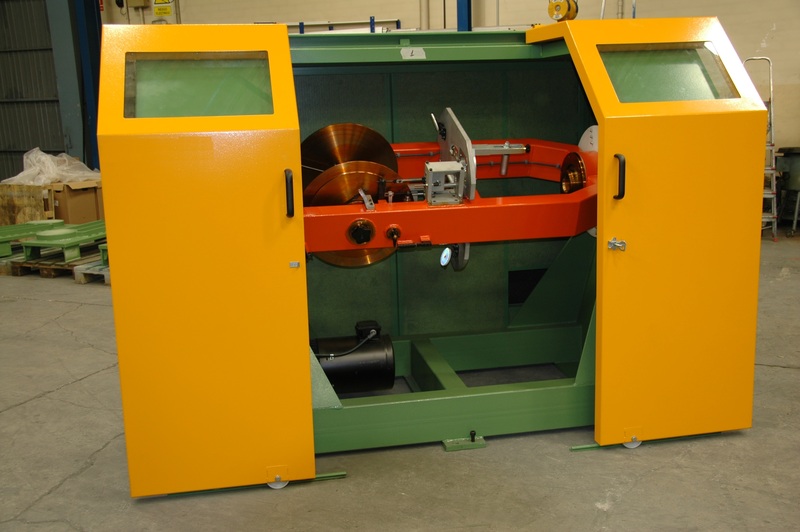 All our lapping and taping machines are controlled electronically for lay length, compensation – accumulation and synchronisation with the other components of the line in which they are working.